Two wildlife issues have collided in Hawaii, pitting one group of animal defenders against another in an impassioned debate. The point of contention? Deadly cat poop and the feral felines that produce it. Federal researchers believe feces from the legions of feral cats roaming Hawaii is spreading a disease that is killing Hawaiian monk seals, some of the world's most endangered marine mammals. Some conservationists advocate euthanizing those cats that no one wants, and that's got cat lovers up in arms. Kill the cats to save the seals? 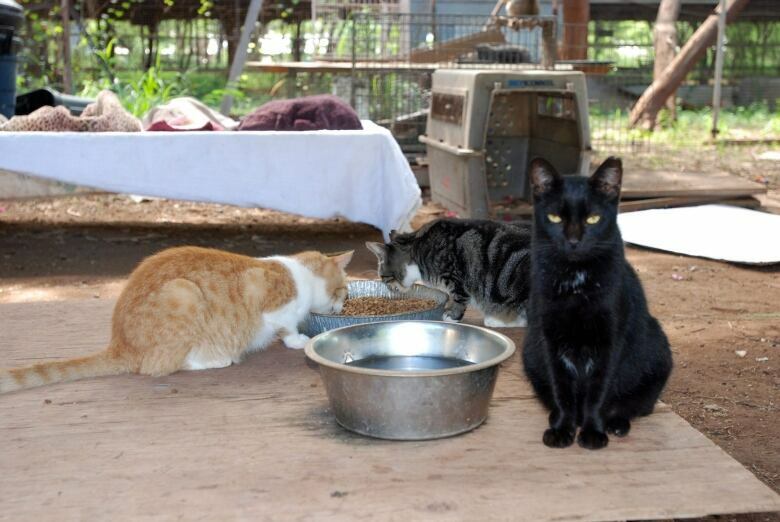 "It's a very difficult, emotional issue," said state Sen. Mike Gabbard, chairman of a committee that earlier this year heard and then abandoned a proposal to ban the feeding of feral cats on state land after an outcry. "It struck a nerve in our community." 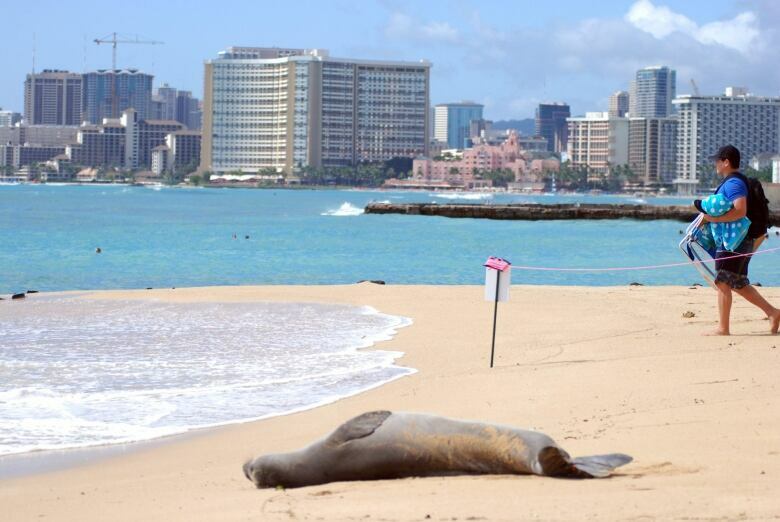 The problem stems from a parasite common in cats that can cause toxoplasmosis, a disease that killed at least five female Hawaiian monk seals and three males since 2001, according to the National Oceanic and Atmospheric Administration. "While eight seals may not sound like a lot of animals, it actually has pretty large ramifications for an endangered population where there's only about 1,300 seals in existence at this point in time," said Michelle Barbieri, veterinary medical officer for NOAA's Hawaiian monk seal research program. Scientists believe monk seals become exposed to toxoplasmosis by ingesting contaminated water or prey. Felines are the only animals that can shed Toxoplasma gondii eggs, or oocysts. The parasites enter their digestive tract through infected prey then multiply in the small intestine and produce the eggs. Outdoor cats excrete the eggs in their feces, which researchers say washes into the ocean. The eggs accumulate in invertebrates that live along the sea floor, where monk seals often feed. They can survive in fresh water, saltwater and soil for up to two years. Any warm-blooded animal can become infected. California sea otters have died from toxoplasmosis, and it's one of the major reasons the Hawaiian crow, alala, is extinct in the wild. Toxoplasmosis is rarely problematic for people with healthy immune systems, but it's why doctors advise pregnant women not to handle kitty litter. 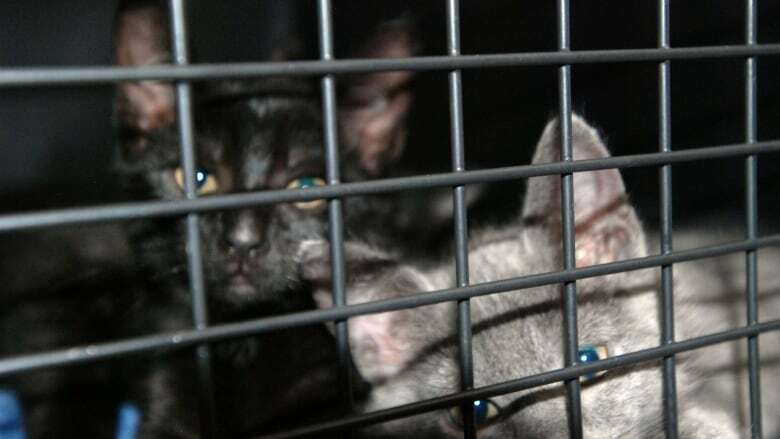 Many cities struggle with feral cats, but the problem is particularly acute in Hawaii because of its sensitive ecosystem and at-risk native species, experts say. Only two mammals are native to Hawaii: the hoary bat and the Hawaiian monk seal. "Everything else here — deer, sheep, goats, cats, mongoose — they're all invasive, they're all introduced," said Angela Amlin, NOAA's acting Hawaiian monk seal recovery co-ordinator, adding cats have no predators in Hawaii to control their population. Marketing research commissioned by the Hawaiian Humane Society in 2015 estimated some 300,000 feral cats roam Oahu alone. Marine debris, climate change, predation and human interaction all threaten the survival of Hawaiian monk seals. But feral cats present their greatest disease concern, Amlin said. "As conservationists, what we really have to look at is this is what Hawaii's native ecosystem includes, and cats are unfortunately not part of that," Amlin said. 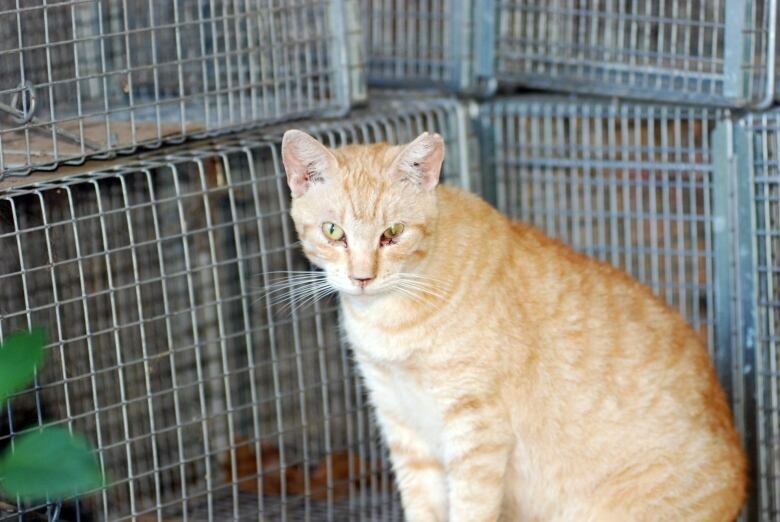 "When it comes to the feral cat population, there should be a program in place to bring in these animals, adopt the ones that are adoptable and humanely euthanize those that are not." Others take offence to that notion. Classifying animals with labels such as native and invasive creates a "hierarchy in which the protection of certain animals comes at the suffering of others," Hawaiian Humane Society President and CEO Pamela Burns wrote in a letter opposing the state Senate bill that would have banned cat-feeding on state land. She contended the 300,000 figure overstates the problem because the study looked at how many cats people were feeding and might have missed instances where multiple people fed the same outdoor cat. Those who care for stray cats advocate trapping, neutering and spaying to help control their population. 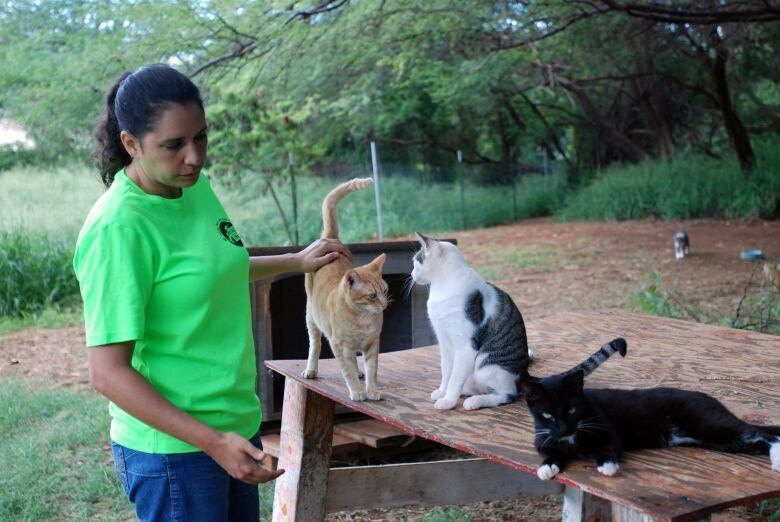 The University of Hawaii's Manoa campus, in Honolulu, started a feral cat management program — with authorized feeders trained in tasks like trapping and feces disposal — after the stench and mess from hundreds of cats prompted complaints, especially when children at a campus daycare centre got flea bites, said Roxanne Adams, director of buildings and grounds. The program started in 2011 and appears to have reduced the number of felines, she said. Euthanizing cats is unacceptable unless they're extremely sick, said Alicia Maluafiti, board president of animal welfare group Poi Dogs and Popoki. "I totally disagree with the ... generalization that cat people love cats more than these endangered species," Maluafiti said. "What we just don't advocate is the wholesale killing, the extermination, of one species ... for one."